Lleida (Catalan pronunciation: [ˈʎɛjðə], locally: [ˈʎejðɛ], Spaingie: Lérida [ˈleɾiða]) is a ceety in the wast o Catalonie, Spain, caipital ceety o the province o Lleida. 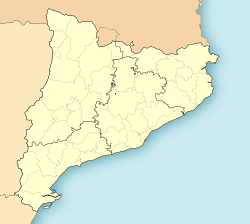 Geographically, it is locatit in the Catalan Central Depression. The metro aurie haes aboot 250,000 inhabitants. It is the caipital ceety o the Segrià comarca an aw, as well as the lairgest ceety in the province. It haed 137,387 inhabitants as o 2010[update], includin the contiguous municipalities o Raimat an Sucs. Wikimedia Commons haes media relatit tae Lleida.